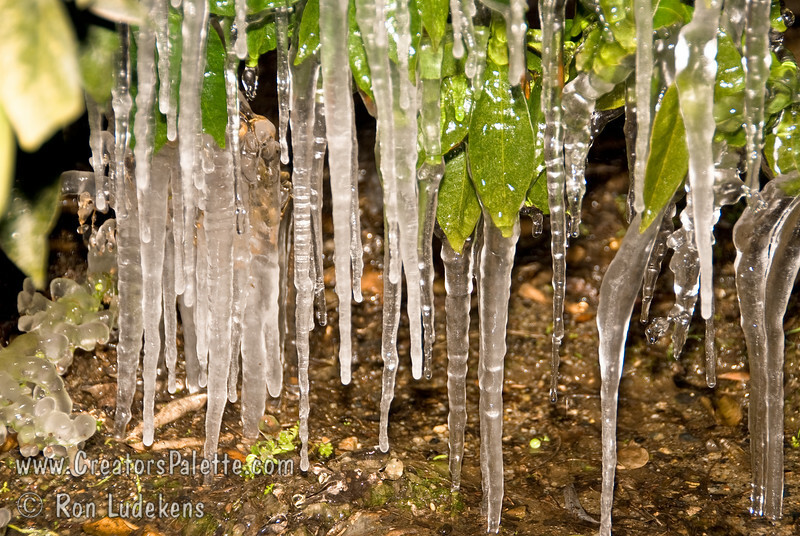 It was still well before sunrise when I started documenting the freeze. At this location there was not much water being sprayed to make dramatic photos. The steam coming off the irrigation weir indicated the relative warmth of the ground water.